The revenue generated from the sale of the specially devised new form of real property interest, known as ‘cellhold’, could help offset the spiralling cost of prison maintenance. It has also been suggested that the scheme, which forms part of the government’s ‘Prison Estate Transformation Programme’ (PETP), could encourage ‘secure’ tenants to take better care of their homes and help them prepare for the realities of life at the bottom rung of the property ladder following their release. With the prospect of selling on their cellhold interest to an incoming ‘tenant’, prisoners will have an incentive to maintain the property to a high standard. Decoration and home improvement could increase opportunities for ‘purposeful activity’ and contribute towards rehabilitation. It is hoped that the riots of recent years will soon become a thing of the past as inmates develop a sense of cell-pride and perhaps even acquire some of the civilised attributes of home owners on the outside, such as hosting coffee mornings and dinner parties. Prisoners who currently share a cell would, if they owned it, be able to sub-let to their cell-mate under a form of licence or sub-lease, though rents would be controlled and subject to a rent-review process under an amendment to Part II of the Landlord & Tenant Act 1954. Alternatively, if so minded, or bloody-minded, they could apply to evict their cell-mate or ‘co-tenant’ under paragraph 1 of Schedule 2 of the Housing Act 1988, as amended, if they can establish that they need the space for their own living needs. The creation of the new ‘cellhold’ interest and the amendments to existing statutes would be enacted under the Prison Estates (Right to Buy) Bill. The bill is currently awaiting its first reading, which has been delayed by Brexit, but is expected to be the subject of considerable debate in both Houses of Parliament. The big cell-off: a privatisation too far? Critics have suggested prisoners are already paying their debt to society without being required to buy the instrument of their own incarceration, and that the plans ‘make a monopoly — sorry mockery — of detention as a means of rehabilitation and character reform’. But NOMS (National Offender Monetisation Service) has pointed out that the scheme is entirely voluntary and that it has no immediate plans to charge rent to those who have not bought their own cells, though a spokesperson admitted they had ‘looked seriously’ at the practice which is widespread in the United States. Questions have been raised as to how fair and transparent the valuation process will be for the initial sell-off, and whether cell values will keep pace with the booming property market on the outside. A scheme to involve local estate agents and mortgage lenders in the process was already oversubscribed on the day of launch, and has now had to be suspended over fears of insufficient compliance with money-laundering regulations. 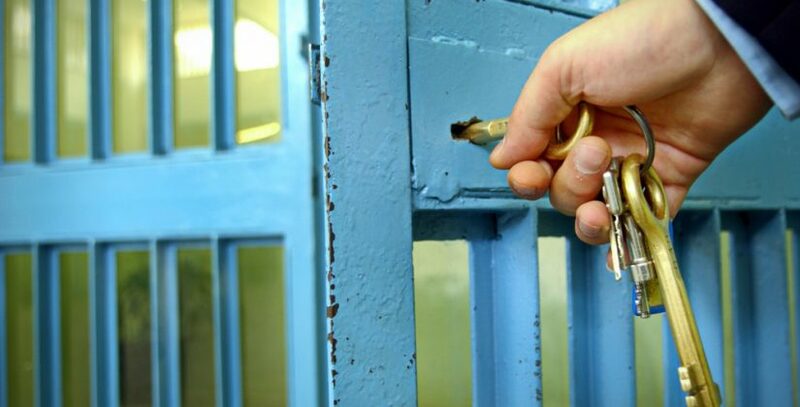 Fears have also been expressed that prisoners might get into debt and end up facing repossession proceedings. It was in the wake of that report, and with the active prompting of the then Lord Chancellor and Secretary of State for Justice Chris Grayling, that the Agency in 2014 began to consider the idea of giving prisoners themselves a stake in the estate. Other aspects of Grayling’s legacy as Lord Chancellor have not been quite so felicitous. In particular, his privatisation of the probation service for lower risk offenders has been, frankly, a bit of a disaster. But what he called his ‘Rehabitation Revolution’ might just rescue his reputation as a long term visionary of penal reform. Or not, as the case may be. Asked to comment on the scheme, a law lecturer who wished to remain nameless merely observed, somewhat cryptically, Nemo debet quod non habitat.